Hiking through Middle Earth with Nans and Taylor. A Frenchman and a Canadian walk across New Zealand… Any travel story sounds like the setup to a joke. Perhaps because it’s so far from everyday life, which is exactly the point of backpacking. Taylor, our said Canadian, studied for four years before deciding to embark on a journey to New Zealand where she could tackle hikes and “slay as many orcs as possible”, despite using crutches for lengthy walks. Nans, from France, left his movie-making job behind to come to –surprise, surprise – Middle Earth. Of course, you don’t completely base a decision on a fantasy movie. Despite living thousands of miles apart, the backpackers happened to meet each other in New Zealand with the same goal in mind: to do a Great Walk. Now they are well on their way to completing all 9! We talk to the Nans and Taylor about their quest through Middle Earth. One of the great things about the people you meet when backpacking is meeting people from all walks of life. So, who were Nans and Taylor before they came to New Zealand? Taylor, from Canada, just finished studying English Literature at university. Nans, from France, was a movie maker who did advertising for local companies. And Nans agrees: “It’s very simple. New Zealand is a dream country if you like hiking and mountain biking, which is my case. The landscapes are so amazing here!” Plus, it allowed Nans to continue his YouTube Channel, Retour En Salle (in French), where he does video reviews once a month for a newly released movies. 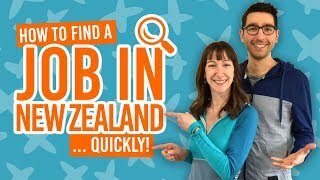 New Zealand makes the perfect filming location for a review about The Hobbit, which uses New Zealand as a movie location… Mind blown! Arriving in New Zealand: Getting set up! It’s not much to ask: the best way to see New Zealand’s landscapes is by doing multi-day hikes! Not only that, but multiples of multi-day hikes! But if anyone can demonstrate how much doing the Great Walks is worth it, then Taylor can. She has now tackled more than half of the walks, whilst using crutches! Despite having hip surgery due to being diagnosed with a bone cancer, osteosarcoma, 6 years ago, she has not let that become a barrier. “I’ve been doing my best to not let it slow me down, so I’ve become quite agile of crutches,” she says. It’s clear that the Great Walks have had a similar effect on the pair. “When you start one, you want to do them all. They are all different and it’s really a good way to discover New Zealand… And yourself too,” says Nans. Which Great Walks are truly Great? Of course, it all comes down to taste. The Great Walks are so diverse that none of which are the same. But the backpacking duo found the biggest highlights in the Routeburn Track and Tongariro Northern Circuit. On the other hand, they both agree that Tongariro has stood out to them the most. “Walking on Mordor, for a Lord of the Rings fan, is amazing,” Nans says. Although they had mostly sunny weather, they got to appreciate why New Zealand weather is usually described as “4 seasons in a day”, creating the perfect ambience for Mordor. “You are traversing the very same shadowlands as in the films, with Mt Doom (Mt Ngaururhoe) in clear sight!” Taylor says. But there’s more to New Zealand than climbing mountains! 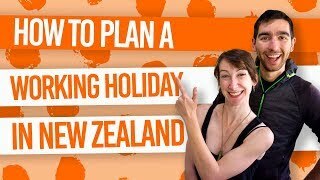 The day in the life of a backpacker usually involves the odd skydive or visiting Hobbiton in Matamata – twice in Nan’s case! As for Taylor, she enjoys horse trekking. “Every time I have money to spare, that’s usually where it goes. I went on a horse trek in Paradise with Dart Stables. It has the kind of landscape that makes you feel wonderfully stupid when you try to capture it in a photo. My pictures are bleak in comparison to real thing. Now it’s time for you to take the plunge! Backpacking in a faraway country can be a scary prospect. But fear can feel like such a silly thing once you have made the jump to start travelling. Nans and Taylor both say that the people they have met, whether they are backpackers, expats or locals, have been friendly, encouraging and helpful. The very fact that these 2 strangers became travel buddies on day 1 of their trip shows how easy it is here.